Diabetes…….Are People REALLY that Mean? It happened again. I was speaking with someone about what I do and why; and they proceeded to run down the entire list of what happened to their father, uncle, and grandfather in about as much unasked-for-details as you could imagine. When they left I started to think. I thought of how many times this has happened. This morphed into me thinking of the enormous amount of times that I have read of horrible experiences at schools. My thought process continued into the many conversations I have read dealing with loved ones. These are all people who, generally, care about other individuals. The phrase hit me like a water balloon full of ice water; when people say the things they do, and we want to grab the nearest item and ram it in their nose; I have come to the conclusion that in most cases people are not mean, they are clueless. Schools have 9 million things on their plate; why should they even think that they have to stop and be versed in something that impacts one child when they have 5 million things to worry about that impacts 1500 kids. Clueless, see what I mean. Your relatives have all of the same problems you have but without the child with diabetes and perhaps with something else on their plate. It is enough to deal with our own problems to even think about someone else’s diabetes. Again, clueless. Let me tell you of all the horrendous things that happened to MY relatives, why would I care about your kids? Yup, clueless. Now I am not saying it is okay to be clueless. It is just that I was always under the impression that when faced with what we deal with day in and day out, people became mean for some reason. They neglected to address the problem with the importance we did. They did not come to our aid when we needed it because they did not care. Mean? Not true. Clueless. Because how could anyone who would see what was done all day long, thinking as our children’s pancreas, managing everything that we do, waking in the middle of the night, having to hold a child who is so low they cannot stand, or so high they are frantically all over the place, or are rushing to the doctor’s office or worse yet, the emergency room….if they knew; if our friends knew, if the school knew, if our family knew; they would not just turn their backs on us, would they………that would just be down-right mean. So that only leaves; ‘clueless’…….right? What Face of Diabetes Should We Show the World? I saw a commercial recently that completely outraged me……you probably saw it and I am not going to share it again, you probably have seen it, and THAT commercial is not the point of today’s article. I started to think of what WOULD be the commercial I would create? What would it look like? And it got me to thinking (and we always know how dangerous that is). In a commercial, how would I represent diabetes? What would it look like? Unless you have a good amount of time with diabetes-out-of-control where you could see all of the various complications; is diabetes really something we can see? I know as parents, we see it; and we see it in all of the stages it can present itself. Quiet and perfect blood glucose numbers, an out of control monster in our kids via tantrums. headaches, vomiting, or in a lethargic person instead of a vibrant one. Anyone who has diabetes will tell you that the goal is to get back into life. School, the playing field, work, good times, or whatever it may be; get it in control and get ‘back out there”. We know. The world does not. Not really. Recently I was in a conversation and the man I was speaking with had lost his wife. After I had just told him that I have two children with type one, he continued in graphic detail about his wife’s last few years. No I didn’t say that, I listened. Many experts have shared, at the numerous conferences I have attended over the years, that diabetes does not cause complications, diabetes-out-of-control causes complications. This thought process always makes me want to ask; “How well did your wife take care of herself?” But I didn’t. That man knows that the face of diabetes is a horror story for him. His wife lived with type one for a long time, in a different era. What does the face of diabetes look like? It has many faces to the many who deal with it, live with it, and/or even treat it. It has not one face, it has many faces. We, as parents do not want to see the ugly truth of diabetes and what it can be as to protect our kids, at the same time we want to pull the curtain back so the world sees not only the sleepless nights and the battles that rages daily but also the fear of so many complications and even death. We want the world to see it but we are afraid to show it because our kids may see it also; it is the ultimate two-edged sword we battle every day. So I continue my inner battle to figure out THAT PERFECT commercial. Every hour that goes by, diabetes has a face to show. Which one do we allow the world to see so they understand????? ?…..when I figure that out; I will surely let you know. You would think there was a good size writing team that would compare to any top sitcom hit on television You might even think their aspirations were to enter the movie industry or take on the stand-up comedy circuit. You might even think there is a huge amount of people dancing around comedy central and dancing with ideas to make us all laugh. But one of the most successful sites out there, providing a good laugh (or at the very least a huge smile) is run, in actuality, by two women in college studying english and environment science. While finishing undergraduate studies and also post-graduate masters program, the two administrators of this hugely successful site are hard at work bringing joy to our day. Meredith and Kayla met while attending an event with Connected In Motion, which plans fun events for active Type 1 Diabetic adults in Canada. After crossing paths a few times, they became friends. Inspired by their own university’s FB page that posted ‘memes’ which is defined as an element of a culture or behavior that may be passed from one individual to another by nongenetic means, esp. imitation. An image, video, etc. that is passed electronically from one Internet user to another (you knew that though, yes? ); the idea was born to create Type 1 Diabetes Memes. Kayla had the idea and Meredith was quickly welcomed aboard and this site grew exponentially; in fact one could say it exploded. Not even two years old with 17,000 people liking it is beyond comprehensible, it is downright enviable. And if you’re someone who has not (where have you been!) yet ‘liked’ this page and you wonder if there is much humor in this world of diabetes we live in; or even if you just need a chuckle and do not have diabetes, you will love this page. And you should go there TODAY! So on a weekly basis a cartoon or photograph is sent in, or created, and the site challenges members (us) to come up with the caption that best fits the picture at hand. The best caption is picked by the members of the Facebook page and sometimes a prize is given; but it surely is enough to proudly see your submitted caption added to the photo. I’m sure many just enjoy the wonderful results. With anything as good as this, expansion continues to increase their visibility now with a Memes Twitter account and also a Tumblr Memes as well. And as if that was not enough joy, there is an online store where you can see many of these saying on your favorite shirts or tote bags (I, personally cannot wait to see coffee mugs), or whatever you like at their Type 1 Diabetes Memes Store. I have often stated that it is crucial for so many of us who have diabetes in our world to just “Not do Nothing”. I have also stated that it does not have to turn into the largest organization in the world; it just has to mean something and if it changes just one person for the better; if it adds one dollar to help someone; if it is one thing you learn that helps you or your loved one to manage diabetes that much-the-better; if you raise one cent to further research; if you undertake one education project; or even if you bring joy to someone who is having a tough day…….SUCCESS. We should all be very thankful to the enormous amount of work that they bring to Type 1 Diabetes Memes. Meredith and Kayla reach 17,000 people a day bringing a smile, a chuckle, and all out laughter—-and when it comes right down to it, even in the world of diabetes, laughter is the ballet of life. Wednesday, the middle of the work week, hump day. After today, you are over the hump toward the weekend. There is a commercial on now that I just love that pokes fun at Wednesday. It’s a silly commercial but one that just makes you smile when you see it because of its silliness. Here is the link to the commercial. I love reading the various posts that people share when their kids do something that just seems completely outrageous. Or they say something that is just so completely off the mark that it makes us laugh. Simple laughter; can we ever get enough? Please share with us something that made you laugh. A favorite commercial, a favorite video (short), or even a favorite joke. We could all use something to make us smile today, because it’s hump day. We need to last through the weekend. Make us laugh today. Hump Day Humor. 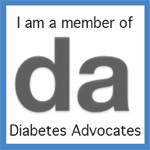 There are so many roads that I have traveled in this diabetes journey. As I reach various milestones in my life I always try to take the time, even for just a moment, to reflect about those who are not so fortunate. The fact that one of my kids complained about me being too much like the diabetes police. How many have lost a child that would love to hear those words of griping once again. The fact that an event takes place and I get pissy because my kids may be a bit high or low and need to be treated at a particular moment. How many events have I had in my life that so many would just want the opportunity to get angry at those moments as I do; but they cannot because that battle is lost. The fact that I’m moaning because I’m tired because I was up all night, or even up once to check a blood sugar. How many who have lost a child still get up in the middle of the night only to realize there is no need. The point is simple; we will always complain and feel the pain of living with diabetes every day but we should always and in all ways remember this important crucial fact; our children are LIVING with diabetes. Always remember that others are not so fortunate. Having Diabetes Makes One Disabled…Right?….Ummmmm ????????? Being called ‘disabled’. It’s surely a two-edged sword. If our child with diabetes is suffering from a severe low during a State Exam, we would make sure that they were given their due and allowed to treat the low and go back to the test without losing any time……correct? They are allowed to do that because of the American with Disabilities Act which allows our children certain rights under the law. These rights are the foundation for 504 plans and other considerations across the country. Yet, if I met you on the street and said ‘Hello, Jill, how is your disabled child, you know the one with diabetes.” …………..You get the point. We seek what is due our children and thank goodness there are laws in place to make sure we can offer them the opportunity to level the playing field where it is certainly not level. So are they disabled, or are they not? If you have a disability, are you not considered living life, disabled? If someone called my child disabled, and you had a dollar to bet that I would be upset at that statement, you would win that dollar. I would be angry. Our children do great things, but to the outside world if one ‘is covered’ under the law, there is a reason. As if they do not have enough labels already……..right? With diabetes, our children are not disabled in any shape or form of the word. But they can BE disabled for a time if a severe low or high occurs. And if that should happen at a time that there is a law that covers what they are doing…..so be it. And should our children be in a place where the norm could be altered, like waiting in direct heat/sun at an amusement park; they should be allowed the opportunity to avoid that situation. If someone believes that a dog that can sense highs or lows is absolutely necessary for their child to have in school, and that is the best action to take, it is not for me to say differently. What I do and what you may do dealing with diabetes may be completely different and that is your choice to make, and mine. So if anyone should ever ask if your child is disabled; first, tell them how much you hate using ‘labels’ for anyone including your child. Next, explain that they are not disabled but an incident of hypo- or hyperglycemia could indeed disable them for a short time and that is the balance we constantly seek, that is why we take the actions we take. Yesterday was my son’s bachelor party. It was a great amount of fun but it started out completely wrong and there was a lesson to take away. The plan was for a group of friends to hire a fishing charter and spend the day out on the waters of Long Island and enjoy the day. The boat was reserved and we were all set to go. We traveled 45 minutes to Eastern Long Island and arrived where the charter boat was docked . The captain informed us that it was too rough to go out on the water. Why he did not call one of the organizers of the day two hours earlier, before we drove all the way out there, was beyond all of us; surely not a good businessman. No one quite understood why he would not go out, it was a beautiful day. Someone heard the captain say to one of the boat’s mates that he was leaving to go home and pack and he would be back Thursday. The captain was the first one out of the parking lot and he was gone. Maybe the water was not really that rough out there. Maybe this captain just did not want to go; something did not seem right. After some friendly comments ‘riding’ the guys organizing the day and the suggestion of “let’s go pumpkin picking instead” being shot down immediately with laughter; the guys got to work. And I mean they got to work pretty quickly. I noticed at least 5 of them on cell phones calling to solve the problem and as it ended up, we had more than one choice what to do. Within a matter of twenty minutes we were on the road to another boat waiting to take us out. We enjoyed a fabulous five hours of fishing with great friends. Seeing the sights of no less than ten other chartered boats out fishing in full force, I quickly came to the realization that our original captain just did not want to go out; but the reason no longer mattered to me. Now these are my son’s friends and I have known many since kindergarten. Believe me when I tell you that not one of them in the group got angry at those organizing the day, no one pointed fingers at others; no, they got their cell phones out and started calling people. Within minutes the problem was solved. We ended up on a better boat, actually; and it was just a wonderful day ‘with the guys’. While driving home, after it was over, and throughout the night; I just kept thinking how impressed I was at how they handled the situation. Not one bit of energy was spent or wasted on being negative; it was spent on solving the problem. From this is a lesson we can all learn. How many times, when someone says something or we end up at a dead-end, do we observe those who look to blame rather than solving the problem and move on? How much energy is wasted? It’s important to also note that many of these young men have also been in the worst of situations laying their lives on the line saving others, and watching each others’ backs, when battling a fire or battling a storm called Sandy. Maybe because of these situations they are better trained than I, and completely realize that it is better to get the job done than just sit around and waste good and precious energy. It was nice to be asked to be included yesterday, but it was I that learned a very valuable lesson from these young men. It’s a good reminder for all of us; there is just too much work to do than to waste time or energy on anything but the problem at hand. GO GET YOUR CHILD RIGHT NOW AND SHOW THIS TO THEM!!!!! To anyone who has a child with diabetes that thinks they cannot make it in this world; that there are many things they cannot do, that diabetes will just hold them back…………just click the link below and enjoy watching what someone with diabetes can do……..in this young man’s life, diabetes stops him FROM NOTHING……..Period!!!!!!!! A Sunset to Relax My Mind at a Place Called Hofstra………Where Do You Go? On the campus of Hofstra University stands six dormitories. When I attended Hofstra they were identified with very unique and specific identities. There was Tower A, B,C,D,E, and F. I am happy to say that since I attended they have been given actual names. College is not easy. WAS not easy and still is not easy today. When yesterday bought back a ton of images that are burned in my memory I thought about a particular part of Hofstra that was utilized on more than one occasion to relax me. I love Hofstra. First because it is a great school. 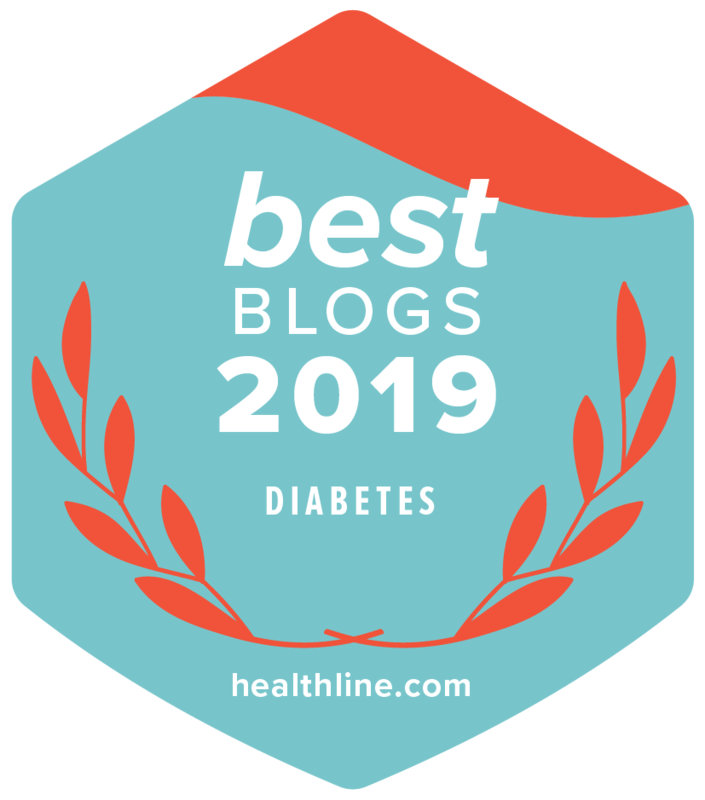 Second, I made great friends there, and as I have written about before, many of them have helped tremendously in many aspects dealing with diabetes over the years. The towers were some of the tallest buildings on Long Island when I attended Hofstra with the 14+ stories high and I remember with very fond memories, the top floor. The top floor had huge panes of glass that allowed you to look in every direction. Nothing beat looking at a sunset out of one of those windows. I always thought that Long Island has some of the most glorious sunsets in the world. Whether by the ocean or in the middle of the Island; just gorgeous. And always different. Utilizing the clouds to add to the landscape or as clear as glass, no two sunsets were ever the same. Sometimes things can just ‘get to us’. We need a break. When I received the video I wrote about last night, I just needed to relax and I found myself going to the “Top of the Hofstra Towers” in my mind. I needed to feel that complete relaxation while watching a Long Island sunset from so high up, that I had done so many times. I needed to once again feel that peace. I have been back there before, but only in my mind, not in reality-not once since I graduated. Our battles we fight for our kids and their diabetes, or perhaps just escaping life itself, we all need a “Hofstra-type-place; where do you go to escape? What relaxes you? Share where you ‘go’? For every sunset, there is a sunrise and with that comes the chance to begin something new and something fresh, relaxed and ready to go………again.